On December 12, Christie’s will auction an extremely rare aluminium Louis Vuitton trunk in London, one of only two examples known to exist. On December 12, Christie's will present at auction 225 rare, limited edition, and one-of-a-kind handbags and accessories. Now, you might be thinking what on earth has this to do with me, or The Rake for that matter. Well, indeed. Unless you're in the market for a diamond-studded Birkin bag for your fairer half, on first thoughts, this is probably the auction to swerve, however, you'd be wise to listen to your more informed second thoughts: the highlight of the sale is an extremely rare aluminium Louis Vuitton explorer trunk, with an estimate of £50,000-£100,000. Louis Vuitton trunks are exquisite pieces of craftsmanship that stand the dual test of time and trends, but this one, in particular, is extra special. 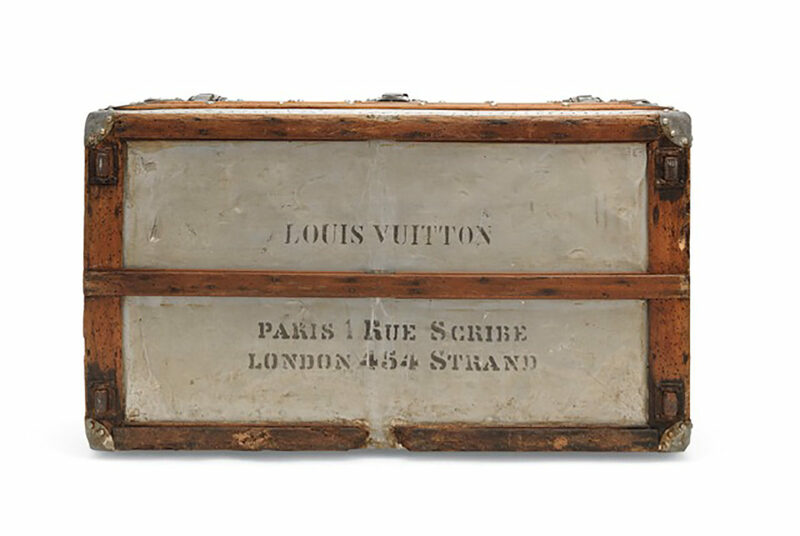 “The sale marks the first time a Louis Vuitton aluminium explorer trunk has been offered for auction, and is one of only two examples known to exist," explains Rachel Koffsky, Christie’s Specialist, Handbags & Accessories. "Created in 1892, this extremely rare trunk was created at a time when the production of aluminium was so complex it was more expensive than gold and only a very small quantity of aluminium trunks were crafted.” The immense lustre of the metal combined with its lightness made it ideal for jewellery design and soon became the material of choice for the French elite, becoming known as the 'white gold of Napoleon.' Louis Vuitton produced explorer trunks in a variety of metals including zinc, brass and copper, however, due to the exceptionally high production costs, only a very small number of the aluminium trunks were built. If an aluminium trunk expected to reach £100,000 isn't to your liking, The Rake has procured access to some other incredible classic Lous Vuitton trunks via Rare by Oulton. Founded by a father-and-son duo with a passion for antiques from a bygone era of fin-de-siècle elegance, the brand has an unparalleled eye for past treasures, and an uncanny ability to make them relevant to the needs of the modern man.